You can easily prevent double bookings when using the Share Availability enhancement. Just click the box next to Prevent double bookings on this calendar, as per the screenshot below. 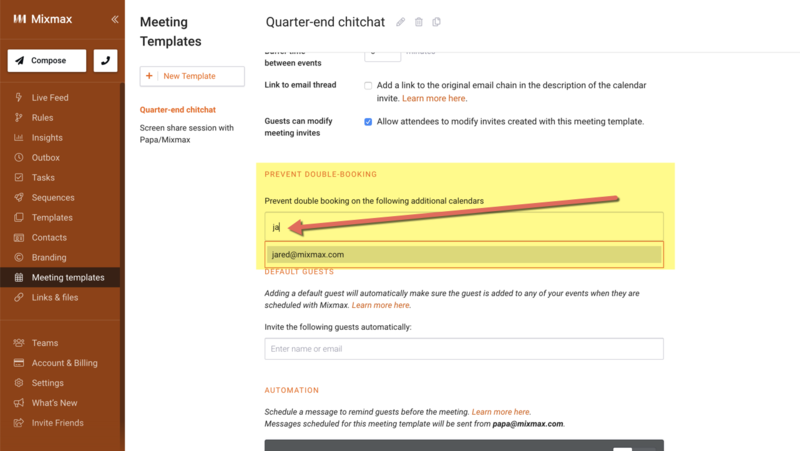 If you are coordinating meetings with multiple people or even across an entire team, you can create a custom Meeting Templates and select the option to prevent double booking across multiple calendars. You'll see the option to PREVENT DOUBLE-BOOKING at the bottom of each meeting templates you have created. 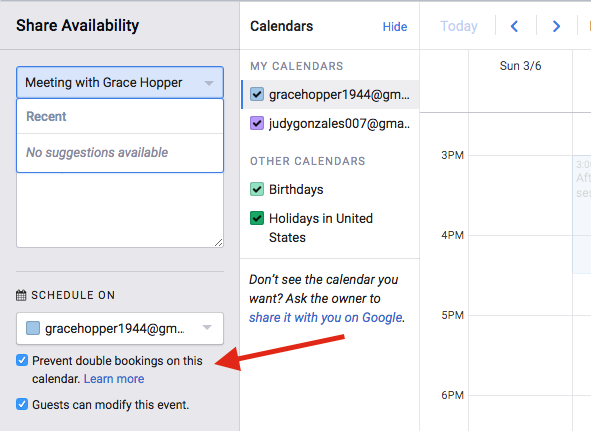 Note: Double booking will prevent events from getting scheduled on the specific calendars you add to PREVENT DOUBLE-BOOKING If the person you add is using multiple calendars, you will need to add all of their calendars in this section to prevent double booking. Simply type the name or email address for the calendar you want to add to PREVENT DOUBLE-BOOKING and we'll make sure to only show times that work for all of the calendars. Please note that you will need to have read/write access to the calendars in order to enable this setting. Learn more how to share calendars and permissions here.